Anna Laudel​’s presentation in ​Germany ​with ​Art Karlsruhe will include Turkey’s acclaimed established and emerging contemporary artists, showcasing the works of Ardan Özmenoğlu, Belkıs Balpınar, Gazi Sansoy ​and Ramazan Can ​for the first time in Karlsruhe. Art Karlsruhe will be the occasion to present, before various shows in Turkey, brand new works of the artists as well as recently produced pieces. art KARLSRUHE has been synonymous with special artistic delights for over 15 years. From Classic Modern art to the latest works of Contemporary art, the items on display span more than 120 years of artistic creativity. 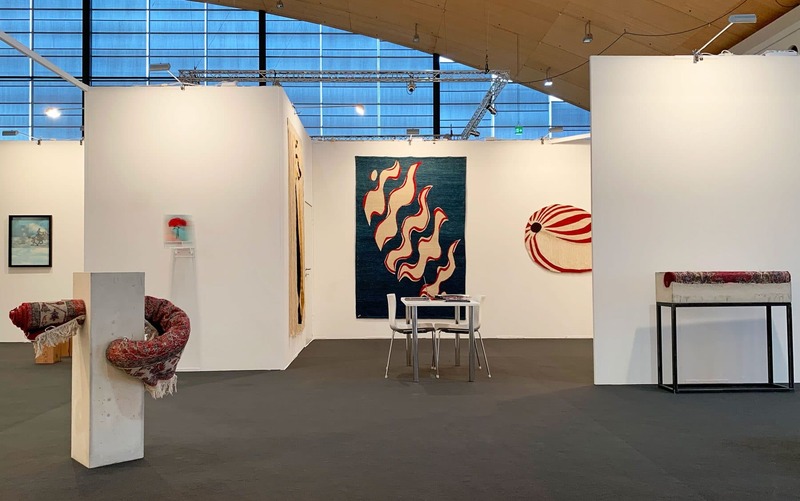 Nationally and internationally renowned galleries annually come to Karlsruhe, where their superlative selections of paintings, sculptures, photographs and original editions spark enthusiasm among collectors, art aficionados and connoisseurs. Another distinguishing feature of art KARLSRUHE is the skilful architectonic interplay between gallery berths and spacious sculpture areas in the trade fair’s light-flooded halls. The fair’s unique programme is rounded out by One-Artist-Shows, each of which provides an individual artist with a larger space for a more comprehensive presentation of his or her oeuvre.